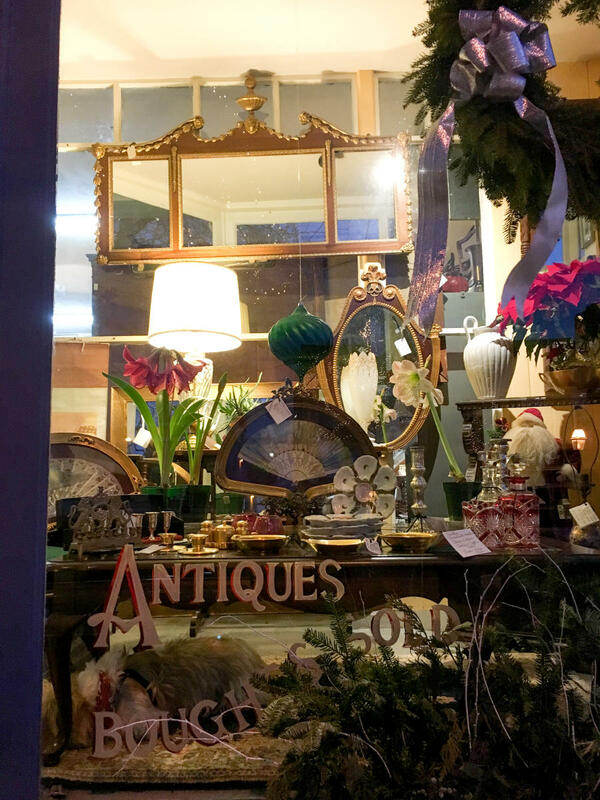 The charm of the holidays comes alive here in Newport where white lights festoon trees, mansions are filled with thousands of poinsettias, evergreens and wreaths, hotels and inns offer great deals and of course, our shopping districts offer special sales and deals this time of year. Find everything you need for the holidays at these local markets and sales showcasing handcrafted goods, unique gifts and more. This year marks the fourth year of Holidays By The Sea, a program encouraging locals and visitors alike to Think Local throughout Newport by shopping in the city&apos;s eclectic shops, staying at our extraordinary hotels and B&Bs, eating in our exceptional restaurants and finally, exploring all that our historic city has to offer. This year&apos;s initiative features many enticements including in-store promotions and restaurant specials, tree lightings, decorations throughout town, music and more beginning on November 25 through December 31. Participating retailers will offer shoppers the opportunity to enter a weekly shopping raffle with the chance to win gift certificates to participating retail shops. Hint hint: the more you shop, the more chances to win. Shop local and reap the rewards. Details. Join OceanCliff for a fun evening of cocktails & shopping while supporting small businesses and shopping local for everyone on your holiday shopping list on Thursday, December 8 from 5:00 - 8:00 PM. Complimentary passed champagne, hors d&apos;oeuvres and a cash bar. Admission is free and this event is open to the public. Details. 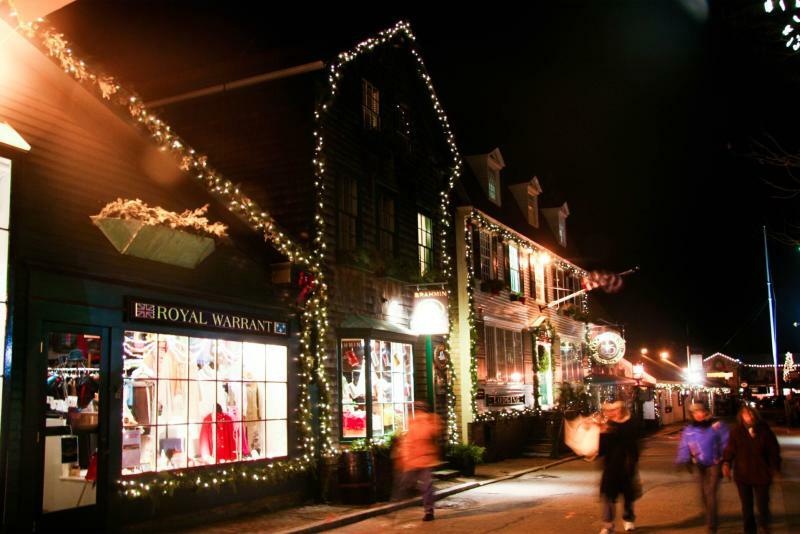 The 2016 Newport Holiday Stroll with sip & shops, 15% discounts at select restaurants with proof of retail purchase, free parking, complimentary gift wrapping, Random Acts of Holiday Cheer and much more. 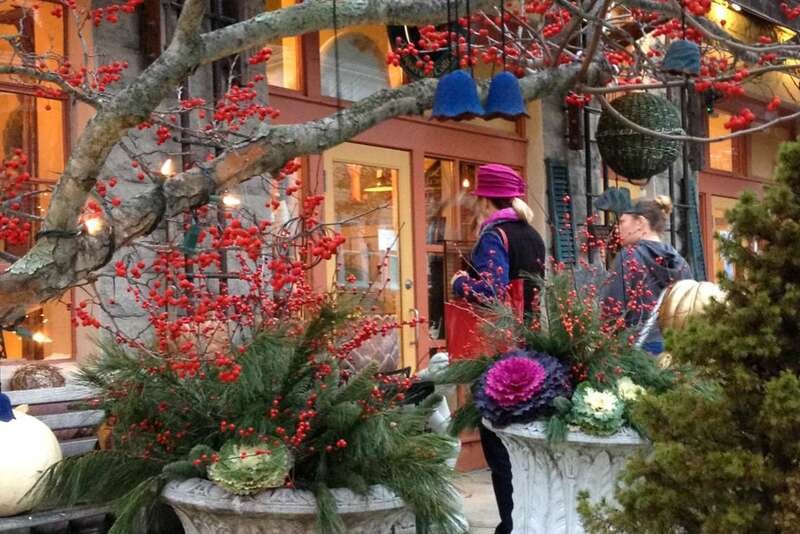 Enjoy a stroll through Newport to find special holiday events like the Nutcracker performed by Island Moving Company at Rosecliff Mansion, live entertainment throughout the city including busking and caroling, and fun for the whole family with ice skating downtown and the Bowen’s Wharf 46th Annual Christmas Tree Lighting with Santa Claus, dozens of local restaurants serving everything up from apple cider and pumpkin spiced lattes to New England Clam Chowder to locally sourced sea-to-table cuisine, and of course, the opportunity to get all of your holiday shopping done in New England’s Premier Holiday Shopping Destination. Saturdays and Sundays December 3 - December 11. Details. A curated market of high-quality unique works made by local artists Friday, December 9 from 5:30 - 7:30 PM and Saturday, December 10 from 10:00 AM - 3:00 PM. This year’s Arts Market will include an Emerging Artist Arts Market in the Met room with works by artists age 15 -25. Details. Meet an assortment of local artisans and shop their unique wares at Trinity Church, One Queen Ann Square, on Saturday, December 10, 10:00 AM - 4:00 PM. Free. Newport Art House is holding a Brunch Art & Flea Market in Newport on Sunday, December 11 from 11:00 AM - 4:00 PM at Parlor Bar & Kitchen 200 Broadway. You&apos;re sure to find unique, innovative, and interesting jewelry, photography, paintings, and clothing designs, as well as craftsmanship by potters, sculptors, and musicians. Details. Join OceanCliff for the 7th Annual Holiday Gala or an evening of fine food, cocktails and holiday cheer on Friday, December 16 from 7:00 - 10:00 PM. You&apos;ll enjoy a cocktail hour and hors d&apos;eouvres upon arrival followed by a three-course dinner and live entertainment. $70 per person. Details. Eat, drink and shop local during Hope & Main&apos;s monthly lineup of specialty food markets. Each lively, food-centric marketplace showcases local companies crafting specialty food products, prepared foods and handcrafted beverages. Taste and tour as you enjoy cooking demonstrations throughout the day, live music and the chance to win door prizes like holiday gift baskets, cooking classes and more. Sunday, December 18 10:00 AM - 2:00 PM. Details.